Suffering a serious injury or losing a loved one to negligence is more than devastating; it puts someone's future in question. At Zervos & Calta Injury Law in Spring Hill, Florida, we have represented clients throughout the Tampa area who have concerns about finances and their physical well-being. The attorneys at our law firm offer compassionate representation as people navigate the justice system. MoreSuffering a serious injury or losing a loved one to negligence is more than devastating; it puts someone's future in question. At Zervos & Calta Injury Law in Spring Hill, Florida, we have represented clients throughout the Tampa area who have concerns about finances and their physical well-being. The attorneys at our law firm offer compassionate representation as people navigate the justice system. ...Suffering a serious injury or losing a loved one to negligence is more than devastating; it puts someone's future in question. At Zervos & Calta Injury Law in Spring Hill, Florida, we have represented clients throughout the Tampa area who have concerns about finances and their physical well-being. The attorneys at our law firm offer compassionate representation as people navigate the justice system. Essentially, our law firm's mission is to bring people peace of mind. We do this through building a plan that targets a maximum award from an insurance company or other responsible party. Our work spans the spectrum of personal injury claims, including products liability, premises liability, motor vehicle accidents, wrongful death claims and brain injuries. This results-oriented strategy has resulted in millions of dollars recovered for our clients. We combine more than 45 years of courtroom and negotiation experience. Additionally, the attorneys at our law firm hold honors such as being listed in The National Trial Lawyers: Top 100; earning the highest peer rating possible of AV Preeminent* from Martindale-Hubbell; and being invited to join the Multi-Million Dollar Advocates Forum. 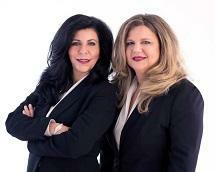 Zervos & Calta Injury Law offers free initial consultations to prospective clients.